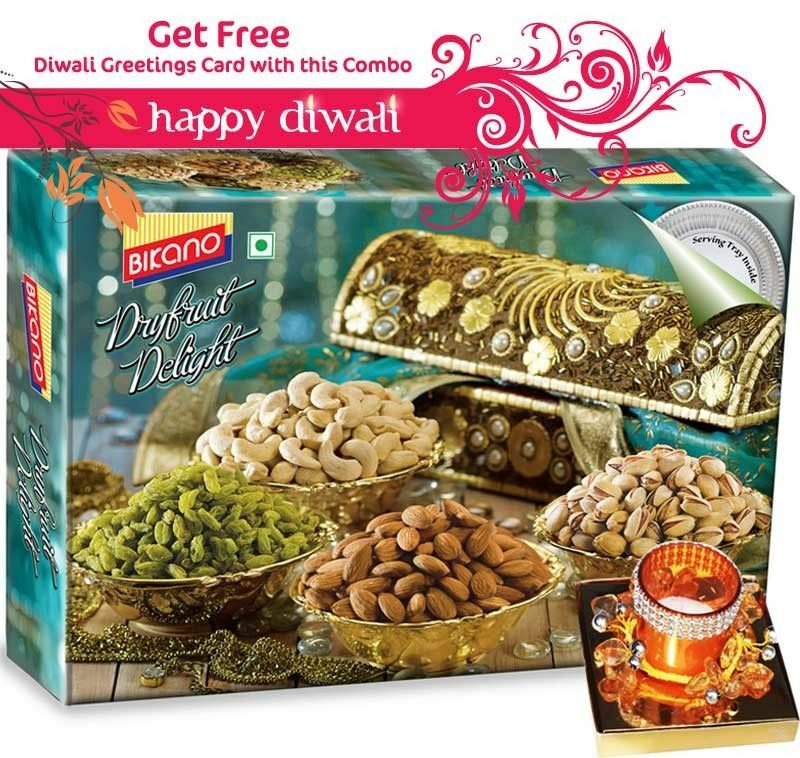 Celebrate the joy of share with Bikano Diwali special Gift packs, alongwith a designer candle embedded in a glass, decorated with crystal flowers. A beautiful Diwali greeting card is also included which enhances your wishes for your loved ones. This Gift combo includes Cashewnuts(125 gm), Almonds(125 gm), Raisin(125 gm) and Pistachchio(125 gm). A serving tray is Free with this combo.